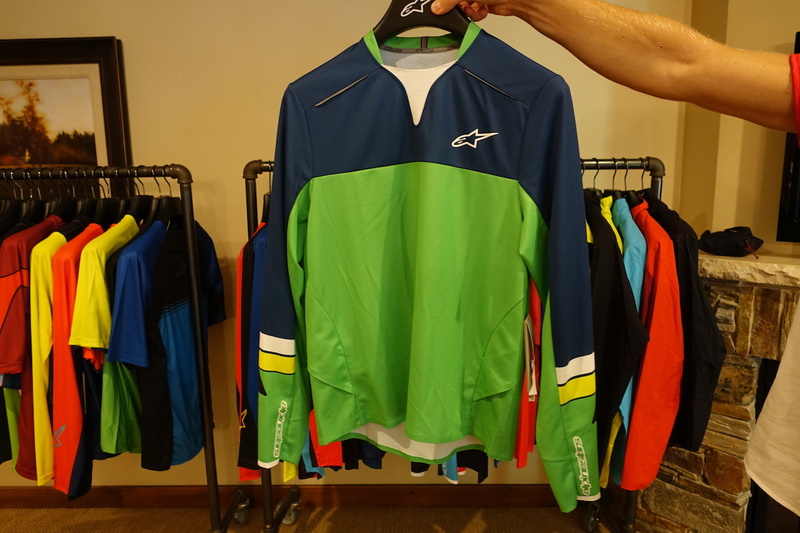 With a room chock full of highlights from the 2018 range, Italian brand Alpinestars came to PressCamp with loads of stylish soft goods and some brand new products that are sure to be a hit when they arrive later this year. For those unfamiliar with the brand history, Alpinestars first emerged as a motorbike protection wear company some 50 years ago. 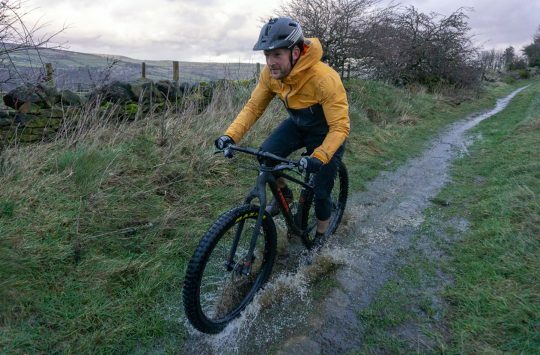 The brand is well known for its leathers, helmets and protective garments for two-wheeled motorised riders, but in 2004 the company started dipping its toes into mountain biking thanks to a co-sponsorship deal with the Honda G-Cross World Cup downhill team. 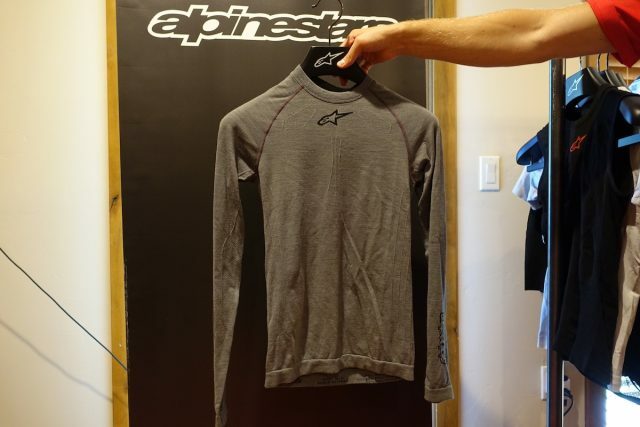 It wasn’t until 2010 that Alpinestars was ready to release its first products to the public, and since then the brand has developed a huge range that includes elbow pads, knee guards, neck braces, and riding apparel. 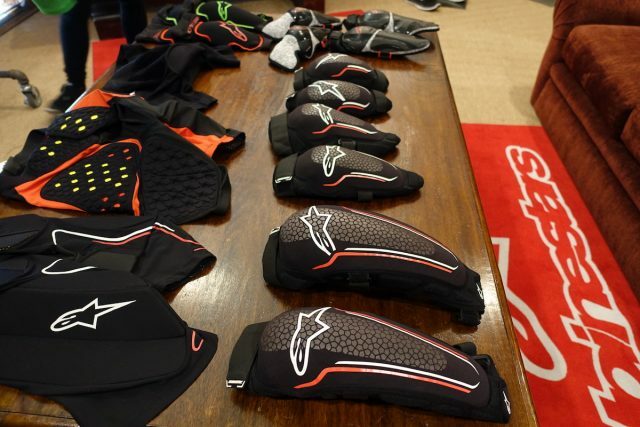 In the current Alpinestars lineup, you’ll find the well-regarded Paragon knee pads, Paragon elbow pads and Paragon protective vest. Joining those items for 2018 is the brand new Paragon bib short, which after months of testing and development, is finally available. 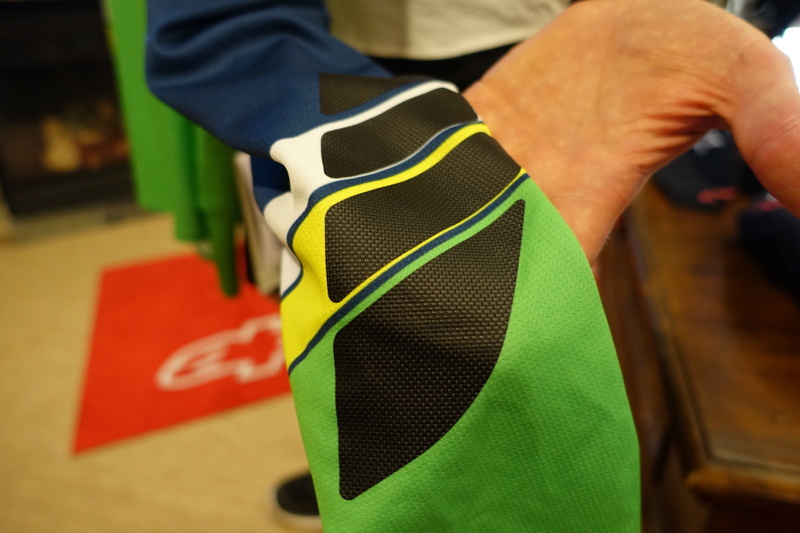 On the outside, the Paragon bib shorts look like regular bib shorts. But look a little closer, and you’ll spot some unique features. 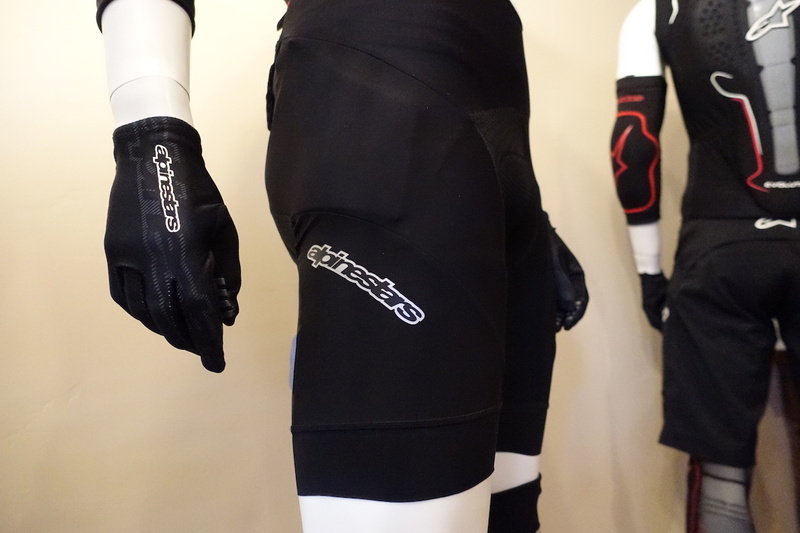 In each thigh panel you’ll find an EVA foam pad designed to provide extra cushioning for bony hips. 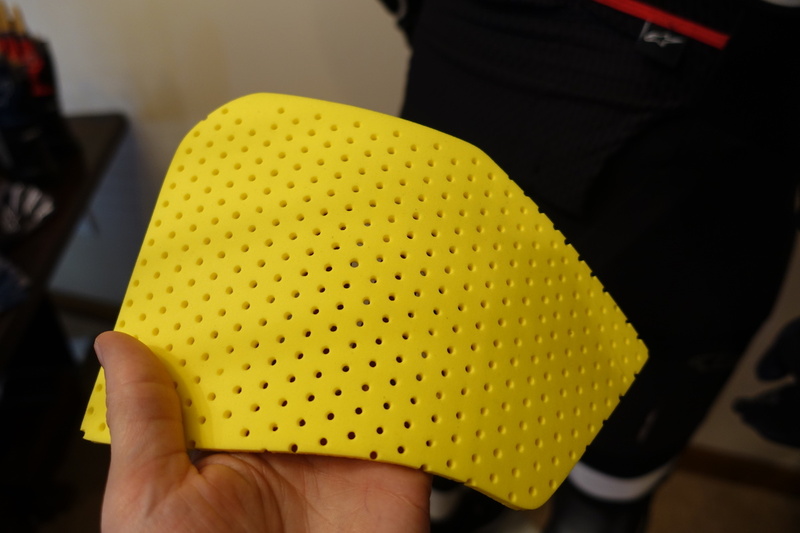 There are two of these yellow perforated foam pads (one on the outside of each leg) and they’re removable for when you need to wash the shorts. The thigh padding is quite sleek, and is designed not to interfere with the fit of your baggy shorts that go over the top. The Paragon Bib Shorts integrate spine protection and hydration bladder compatibility into the one garment. On the back of the Paragon Bib Shorts is where things start to get interesting. Much like the Paragon Vest, the Bib Shorts feature a thin mesh pocket in the back of the bib brace that’s designed to carry both a back protector plate and a hydration bladder. 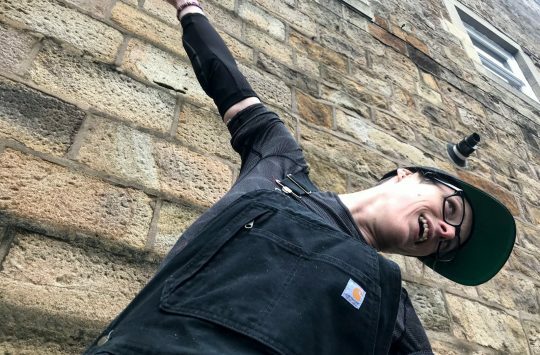 Perfect for those who want to shun the traditional backpack, and aren’t such big fans of the bum-bag style. The SAS-TEC back protector (included with the bib shorts) slides into its own sleeve. Here you can see the black back protector, which sits in closer to the rider’s back. 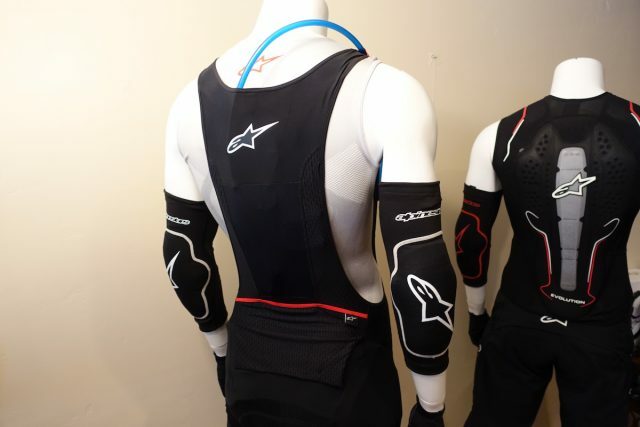 The back protector is included with the bib shorts. 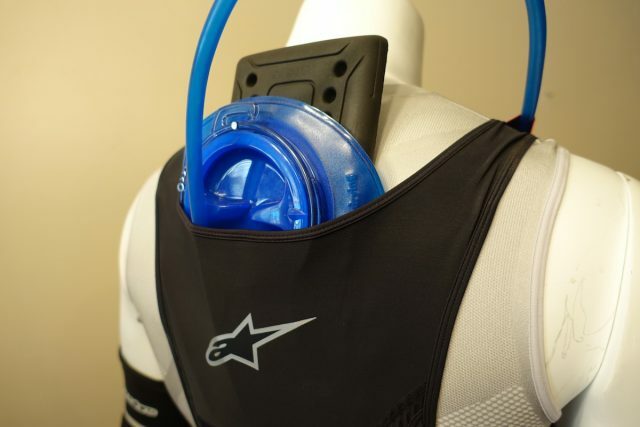 A 1.5 litre Camelbak reservoir has been used for demonstration purposes, and this isn’t included with the bib shorts, so it’s a BYO affair. 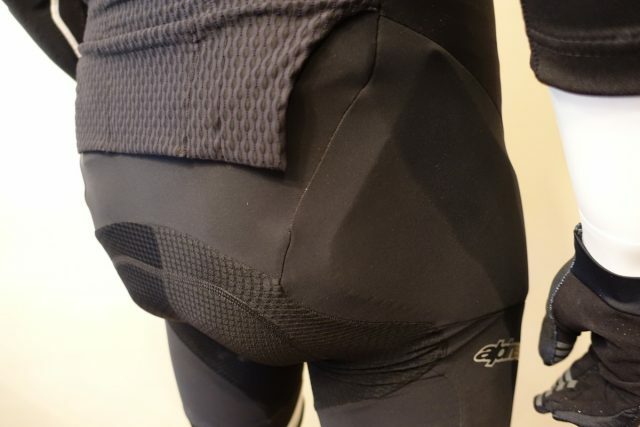 The bladder sits on top of the back protector, providing a little further cushioning in the event of a crash. The protector plate itself is made by SAS-TEC, and it uses a flexible softshell construction that is CE certified to take on heavy impacts. The plate is perforated to also exhaust heat off your back. 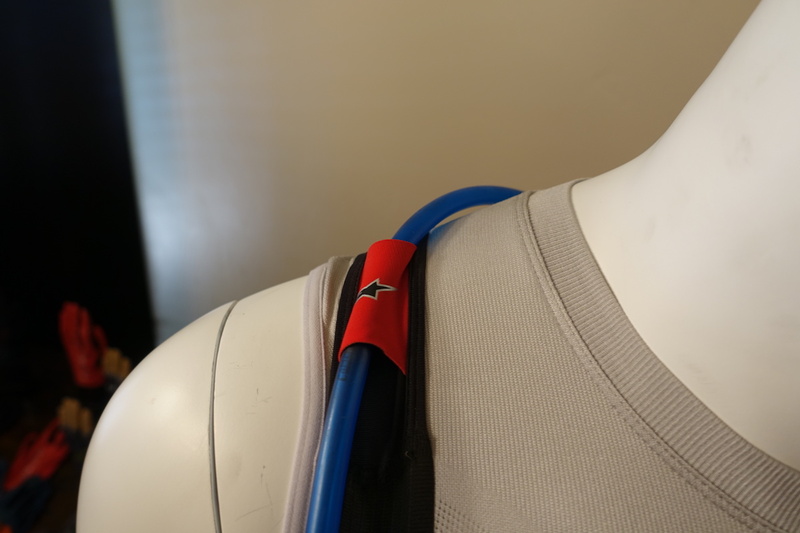 A tidy hose guide sits over the right-side bib brace. The bite valve simply rests out of sight underneath your jersey, so you can pull it out for a suckin’ when needed. 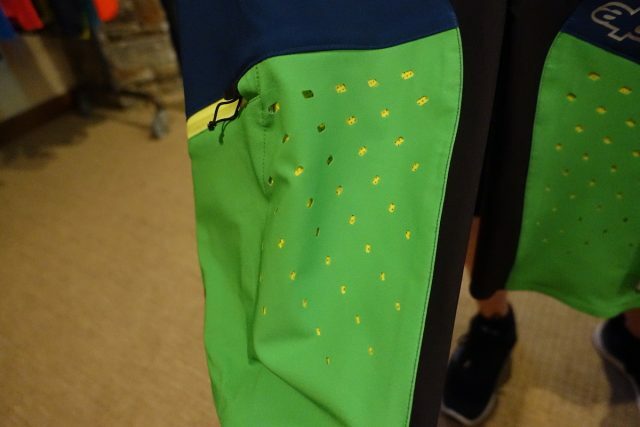 Elasticated mesh pockets in the back of the bib shorts allow for stealth goods storage. 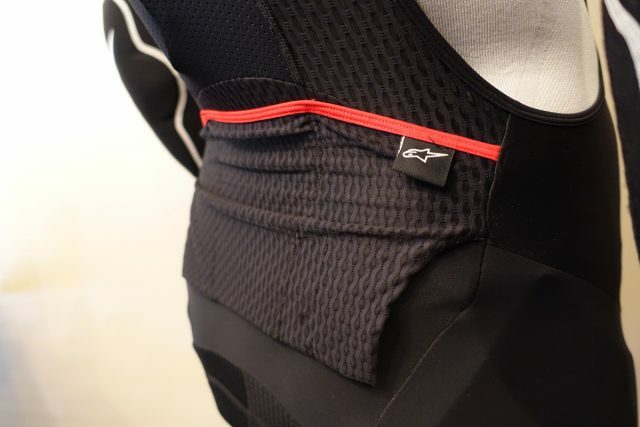 In the current vein of stealth-style bib shorts, the Paragon bibs use a three-section mesh pocket on the back that sits in its own separate sleeve external to the bibs themselves. The reason for this is that the pocket flap can sit over the top of your baggy shorts, meaning each pocket is still accessible, rather than being hidden underneath the shorts. New 2018 Alpinestars Drop Pro jersey to replace the current Drop 2. Abrasion fabric is added in a four-panel strip on each sleeve to help prevent rippage of the jersey in the event of a tree-grab or a dirt-slide. Sonically-welded cuffs for the super-clean look. Drop Pro shorts to go with the new jerseys. 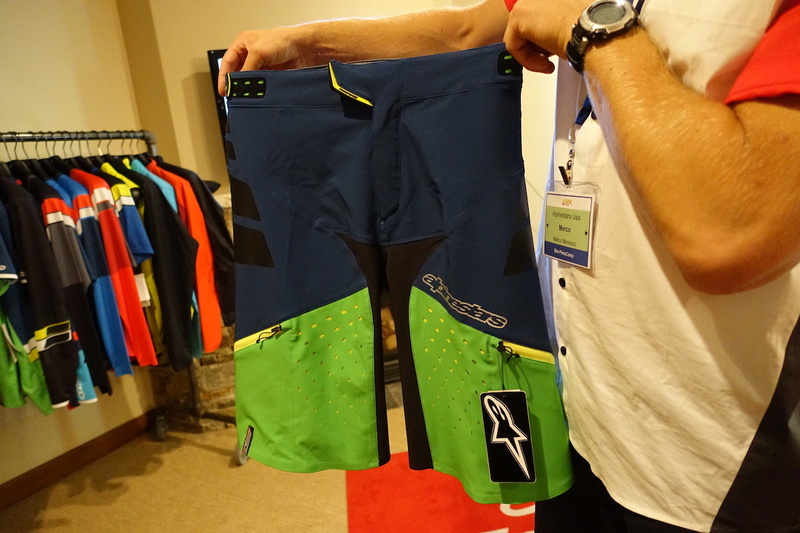 These are a ventilated trail short equipped with loads of adjustability. 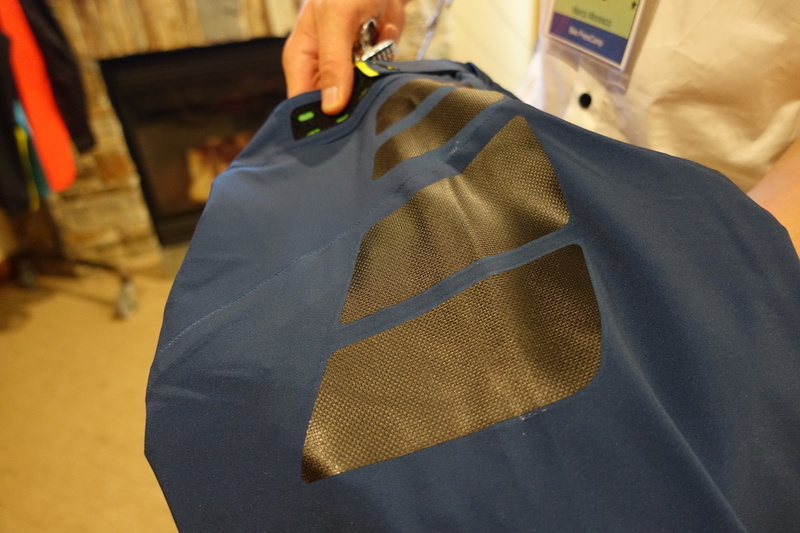 A perforated outer shell lines up with a mesh base fabric to keep air coming through on warm days. The feel of these shorts is very light to the touch. 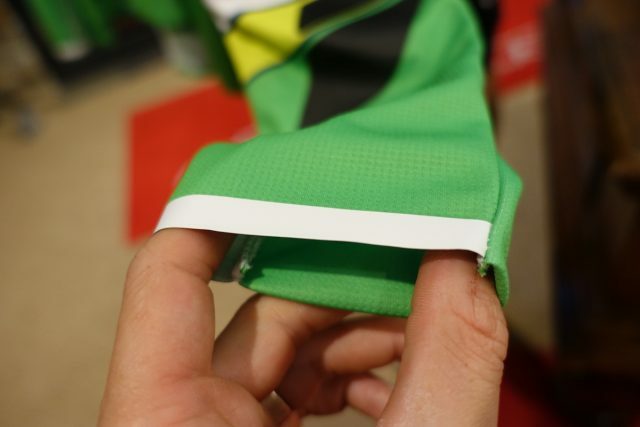 The same abrasion-resistant panels feature on the outer thighs to protect the fabric underneath. New baselayers from Alpinestars. 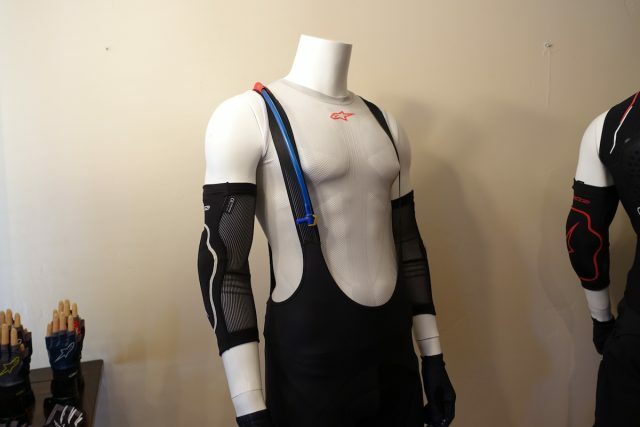 This is the Winter version of the Tech underlayer. 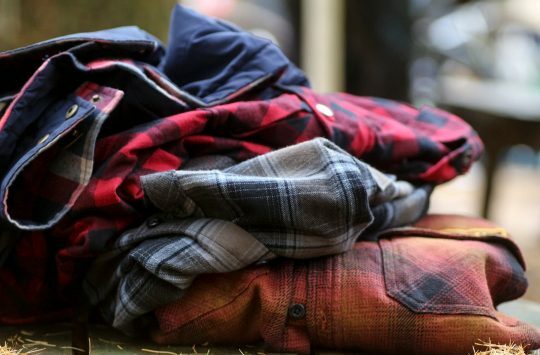 Made in Italy with a fabric mix that features merino wool for additional warmth and a soft feel on the skin. And the much-lighter summer version. 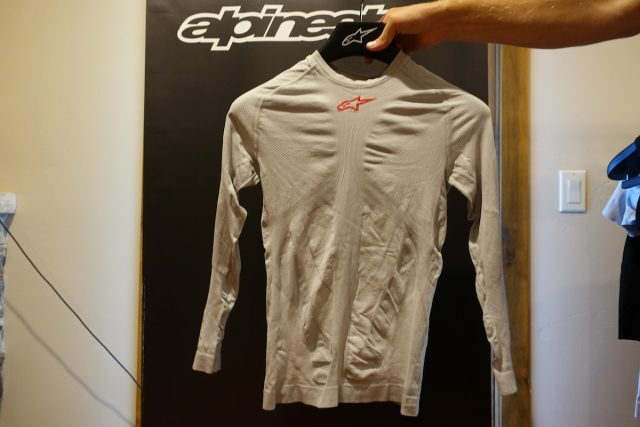 Designed to ventilate and wick away sweat. 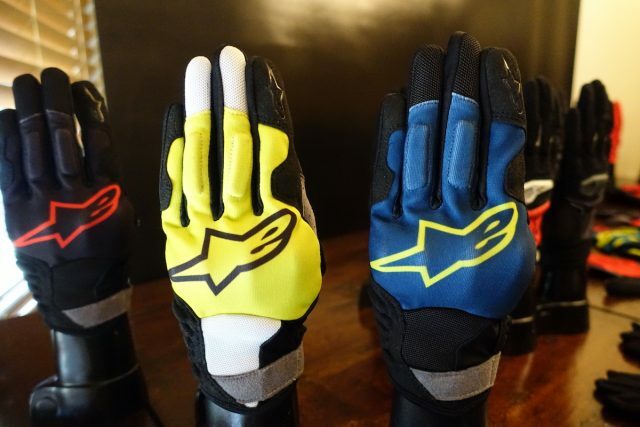 New burly glove option from Alpinestars. 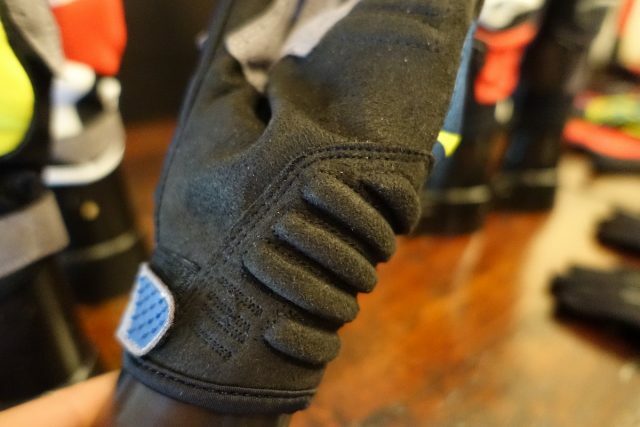 These guys are loaded with protection, including a VPD-style material that’s applied over the knuckles for fisty cuffs with trees. Alpinestars has also added flexible protection for the outside of each wrist to keep those boney bits staying where they should be. Loads of new knee and elbow pad options join the Alpinestars range for 2018. The new range of Alpinestars protection and apparel is due for release towards the beginning of 2018 (crazy concept right? 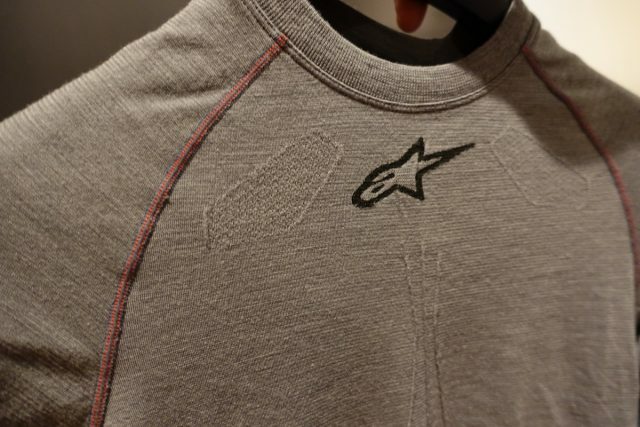 ), though to find out more on the Alpinestars range and to check out the gear in the nearest local dealer, head to ZyroFisher.co.uk for more info.